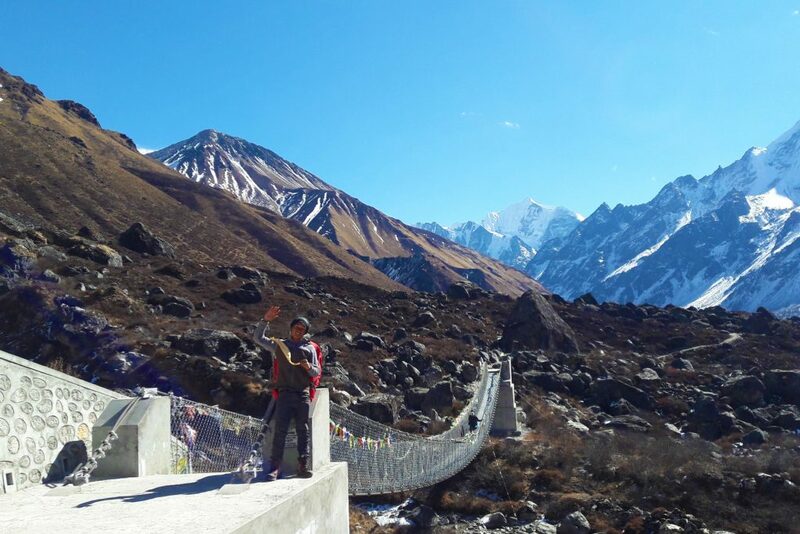 Everest BC Luxury Trek Fly Back by Helicopter Trek- 12 days is a moderate trek. Travelers who can walk up to 6-7 hours a day on an uphill and downhill trail will find this trek fulfilling. It is best that we prepare ourselves for the Annapurna trek by jogging and exercising regularly at least a month prior to the start of the trek. Trekking to the Everest Base Camp should be relatively easier for those who have experience walking/trekking in a high altitude environment. Past hiking experience would be an asset but no technical skill is required for this trip. It is also important that we consult our doctor. Participants with pre-existing medical conditions such as heart, lung, and blood diseases should inform Discovery Mountai Trek before booking the trek. The best time to trek to the Everest BC Luxury Trek fly by Helicopter Trek is Spring (February to May) and Autumn (September to November). The temperature is moderate in these seasons and guarantees amazing views through the trip. Although this trek can be undertaken during winter, the cold temperature might not be suitable for everyone. 5 Night attach bathroom (Phakding, 2 night Namche, Deuboche and Lukla. Everest (8848m, climbed for the first time on May 29-1953 by Hillary and Sherpa Tensing) sits at the mouth of a glacial valley, whose rise is undoubtedly one of the most beautiful trekking “mountain” of Nepal . Anyone with endurance and motivation can discover these magnificent valleys surrounded by splendid mountains and where live the famous Sherpas, the people of the “Roof of the World”. This itinerary will take the time to visit their villages and their Buddhist monasteries: Thamo, Tengboche, Namche, Pangboche. Well acclimatized, you will then conquer the Kala Pattar (5600m), for a fantastic vision of Everest, Ice Fall, Nuptse (7861m), the almost perfect pyramid of Pumori (7161m). 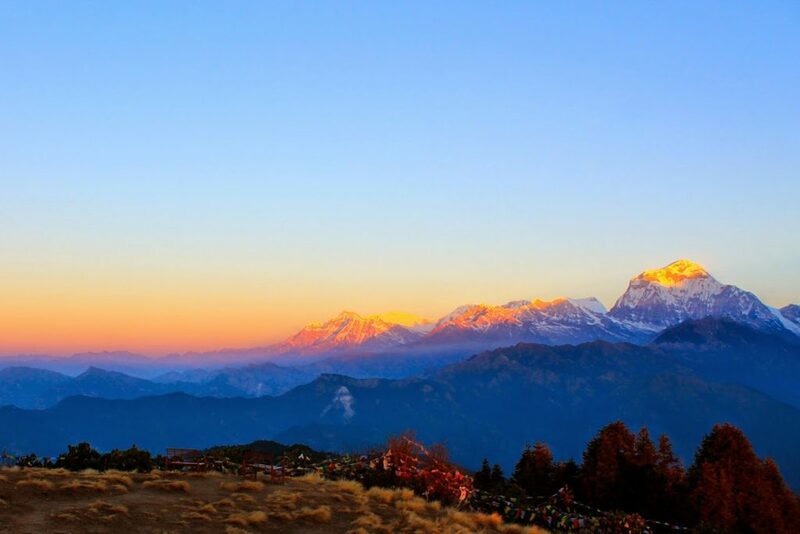 We take an early morning 35 minutes flight to Lukla which is where all Everest treks begin. We meet the rest of our team in Lukla and start trekking from there. We walk on a trail that gradually descends to Cheplung village from where we get a glimpse of Mt. Khumbila, a sacred mountain which has never been climbed. From here, we gradually descend until Phakding. Night stay at : Yeti Mountain Hom. Night stay at : Yeti Mountain Home. The trek until Phunki is an easy walk. From here we ascend towards Tengboche village which houses the very famous Tengboche monastery which is the biggest monastery of the Everest region. It is located within the Sagarmatha National Park which is a UNESCO World Heritage Site. The monastery is blessed with panoramic views of the Himalayas, including Mt. Everest, Nuptse, Lhotse, Ama Dablam and Thamserku. The Tengboche Monastery opens at 3:00pm, so if we reach there by 3 o’clock we can observe a Buddhist religious ceremony. After all decends pass through rhodedodron trees until deboche. Night stay at Culture Home. Our trek passes through lush forests of birch, confer and rhododendron trees. While trekking we can admire good views of Mt. Everest, Lhotse, and Ama Dablam. We cross the Imja River to reach Pangboche. We choose the upper Pangboche trail and admire the Himalayan vista and the Pangboche Monastery. We continue our walk to the Imja Valley and Lobuche River before ascending to Dingboche. It is a picturesque village with beautiful barley, potato and buckwheat fields complete with grazing animals dotted along those fields. Night stay at Local Guest House. Dingboche is a popular stop for trekkers and climbers headed to Mt. Everest, Ama Dablam or Imja Tse. The village is beautiful with an array of fields enclosed by stone walls to protect barley, buckwheat and potatoes from the cold wind and grazing animals. We spend a day at Dingboche for acclimatization. We take day hikes to either Nagarjun Hill or Chukkhung Valley for great views of Makalu, Lhotse, Chalotse, Tawache and Ama Dablam. Night stay at : Local Guest House. We start the day with a gradual climb to Thukla at the end of the terminal moraine of the Khumbu Glacier. From here, we climb up a steep trail to lobuche pass, where we find an array of stones with prayer flags used as memorials to Scott Fischer (American mountaineer) and 10-time Everest submitter Babu Chiri Sherpa (Nepali mountain guide) who perished on a mission to climb Everest. Next, we continue to the Khumbu Glacier moraine and find ourselves facing several great peaks – Khumbutse, Lingtren, Pumori and Mahalangur Himal. Night stay at : Local Guest House. The trek to Everest Base Camp is not very difficult. However, we ascend and descend mostly on a glacier path. There is also a lot of meandering on rough terrains. As we reach the base camp, we enjoy the incredible melt patterns and admire the gently rounded ice towers on the upper part of the Khumbu glacier. The Everest Base Camp is stunningly beautiful. We can enjoy amazing views of Nuptse, Khumbuste and Pumori mountains from the base camp. After soaking in the beauty, we walk back towards Goraksep. Night stay at : Local Guest House. We prepare for an early morning departure, amid pre-dawn darkness and cold temperatures (-10C to -14C) Plus, there is always the potential for chilly winds which are quite common. Familiar peaks such as Lingtren, Khumbutse, and Changtse tower to the east even as Everest begins to reveal itself. But, it is upon reaching Kala Patthar that we get to see360 degree up-close and formidable views of Mt. Everest. We take pictures, enjoy the magnificent mountain panorama, and then return back to Pheriche for a good night’s rest. Today after your breakfast you will take heli from Pheriche to Lukla.